The office was shabby and old with a small poorly lit waiting room in the rear of the facility. The officeplans to move soon though however. Dr. Hecht was friendly and preffessional and so were staff. The receptionist was a jewel. The office was shabby and old with a small poorly lit waiting room in the rear of the facility. The office plans to move soon though however. Dr. Hecht was friendlyand preffessional and so were staff. The receptionist was a jewel. 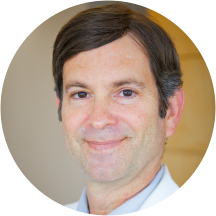 Dr. Matthew Hecht is a highly respected refractive surgeon specializing in the latest vision correction techniques. Dr. Hecht received his medical degree from the University of Minnesota, where he was awarded several honors and scholarships, including the Minnesota Medical Foundation Scholarship. Dr. Hecht completed an internship in Honolulu at the University of Hawaii and completed the residency program in ophthalmology at the University of Nebraska Medical Center. After receiving additional training at the University of Southern California, Dr. Hecht was certified to perform procedures with the VISX laser. Dr. Hecht obtained certification to perform LASIK procedures in Toronto, while studying under Dr. Jeffrey Machat, a leading ophthalmologist. As part of his advanced training in LASIK procedures, Dr. Hecht continued training under the foremost experts in refractive surgery. Dr. Hecht is the first refractive surgeon in the South Bay to surgically place phakic intraocular lens implants for the severely nearsighted. In addition, he is committed to providing better vision for people in other parts of the world. As a fluent speaker in Spanish, he donates his talents to senior citizens and the needy in Central America. Very professional. Answered all my questioned. Love the environment, clean, bright and professional. Definitely coming back. Office environment and clientele were not impressive. however staff was ok (except there was someone training who did not know how to use the eye exam equipment) MD communucated clearly about the possible procedure. Definite staff focus onclosing the deal on expensive procedure not covered by insurance and "financing" immediately discussed. ofice Seemed a little too much like a low end car sales team than an opthomologost visit. I liked the service and the people there are kind.thanks a lot. It is in a great location...a nice clean and bright office with very friendly, and professional staff. I loved it and I'm glad I found Dr. Hecht and hope to be a patient for a very long time. They were very professional, pleasant and efficient. Can't ask for better than that! The dude put in tear duct things without really telling me any financial part of the equation. He was just like "ya, it's a good idea." It was great.....hey helpful....and great prices on glasses!!!! I would come back here everyday if I had to lol Because everyone that works there was so nice and smiling . He is a great Dr..
Dr. Hecht is great!! He spent a great deal of time with me explaining the medication and the regimen I would be on. His assistant Nick was very helpful and attentive!!! The staff was very nice also!!! I have been there before. I think he is a pretty doctor. My appt was at 9am and filled out forms online but had to complete all of the same forms and more in the office. Doctor walked into the office through the waiting room exactly a 1/2 hour late.Office seemed run downand the equipment is archaic...not state of the art like my previous doctor in Manhattan Beach, CA. Won't be going there again. Very clean office, excellent service and friendly staff. I definitely plan on sticking with them. I arrived early to get paperwork done and the staff had everything ready and I saw the doctor right on time. The doctor and staff couldn't have been better or more professional. I'd recommend Dr. Hecht to anyone needing his services. The service was excellent and the whole process was simple, fast, and efficient. Delicately recommended! Vist was good my daughter was comfterbul.